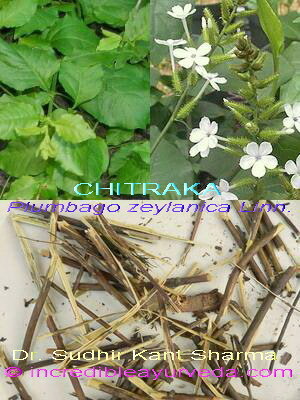 Medicinal Properties:Root and root bark of Chitraka are used in various Ayurvedic medicines. It is a herb which has Rasayana properties. In Ayurveda it is used in the treatment of Ama vata (Rheumatoid arthritis), skin diseases and tumors. It has been widely used in Ayurvedic formulations meant for obstetric and menstrual disorders. 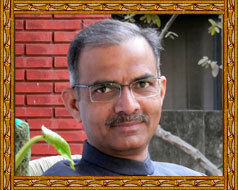 Various Ayurvedic formulations for control of nervous system disorders have this as an ingredient.. Extract of various fraction of Chitrakmool have been identified as anticancer drugs. Root bark is also considered to be useful in obesity. Main Classical Uses:Chitrakadi gutika, Chitrakadi churan, Chitrakaghrata, Chitrakaharitaki.